SEEBURGER AG honoured for exemplary global practical use of UN/EDIFACT from the left: Maria Rosaria Ceccarelli (United Nations Economic Commission for Europe (UNECE) and Rolf Wessel (SEEBURGER AG) in Rome, Italy. 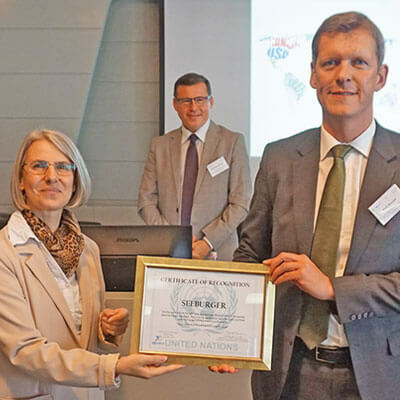 SEEBURGER AG, market leader for highly complex integration solutions, has received an award from the United Nations for its decades of support and exemplary global use of the international data exchange standard UN/EDIFACT (United Nations Electronic Data Interchange for Administration, Commerce and Transport). The award was presented at the Italian Ministry of Economy (ITA) in Rome during the 30th UN/CEFACT Forum. Digital transformation is changing everyday life and business life in the B2B, B2C and B2G sectors. Once paper-based processes for exchanging business data have been paperless for over 30 years on the basis of EDI (Electronic Data Interchange), i.e. with an electronic format and a transmission protocol. This accelerates processes, saves costs and meets regulatory requirements. Digital technologies for electronic business data exchange require standards. UN/EDIFACT has been the most important cross-industry international standard for electronic commerce (EDI) for 30 years. No data exchange format has become better established and is more widely used internationally in companies and corporations. Initiator and responsible for the publication and maintenance of this standard is UN/CEFACT (United Nations Centre for Trade Facilitation and Electronic Business). 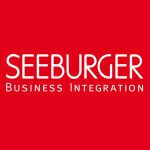 Since its foundation in 1986, SEEBURGER AG has promoted the use of standards in data exchange. SEEBURGER has been using the UN/EDIFACT standard right from the start for a wide variety of industries, such as the automotive industry, trade, mechanical and plant engineering as well as in SEEBURGER solutions and cloud services. “By participating in UN/CEFACT projects at an early stage, implementing the standards, using them in practice and integrating them into SEEBURGER IT applications and cloud services, we proactively meet the requirements of our globally active customers in the international exchange of business data as opinion leaders and guides. With regular certifications and audits, we are also continuously demonstrating the performance of our applications and cloud services,” says Rolf Wessel, Project Manager UN/CEFACT and Product Manager at SEEBURGER AG. SEEBURGER AG congratulates UN/CEFACT on the 30th anniversary of UN/EDIFACT and thanks for the award and the good cooperation.